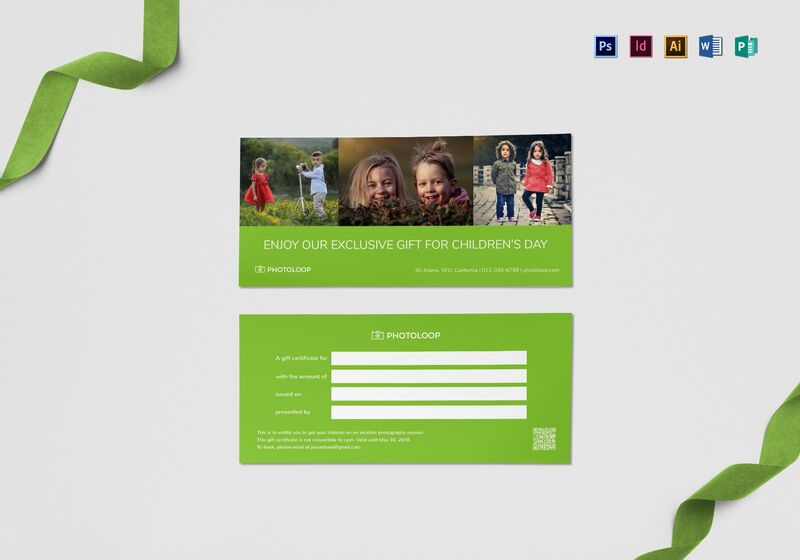 Create a gift certificate for your Photography studio with this high-quality template. 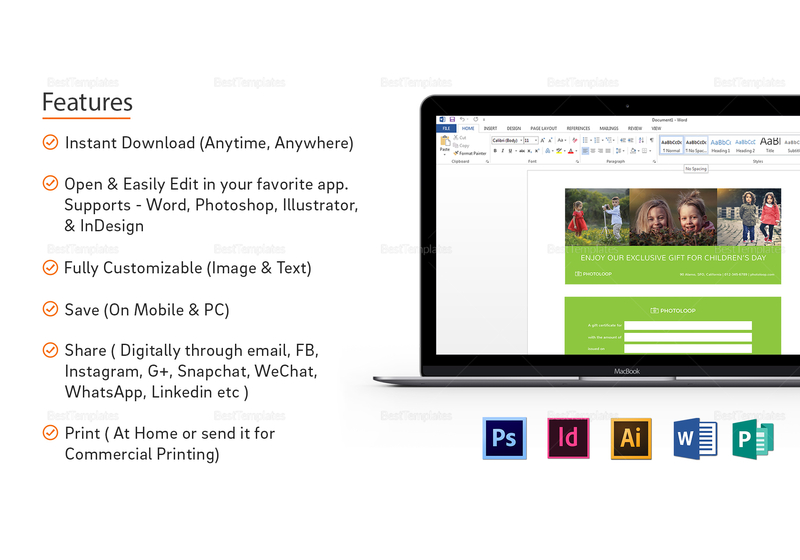 This uses an easy to edit layout, including first-rate photos and graphic files. Accessible and fully customizable in all versions of Photoshop, InDesign, Illustrator, MS Word, and Publisher. Instant download anytime, anywhere, at an affordable price.